The documentary we’ve all been waiting for is finally airing this week! Hamilton’s America will take fans into the room(s) where the making of Lin-Manuel Miranda’s revolutionary hit Hamilton happened. The documentary is set to air on PBS on October 21 at 9:00PM (you can also stream it here), which means those Friday night plans are already set. 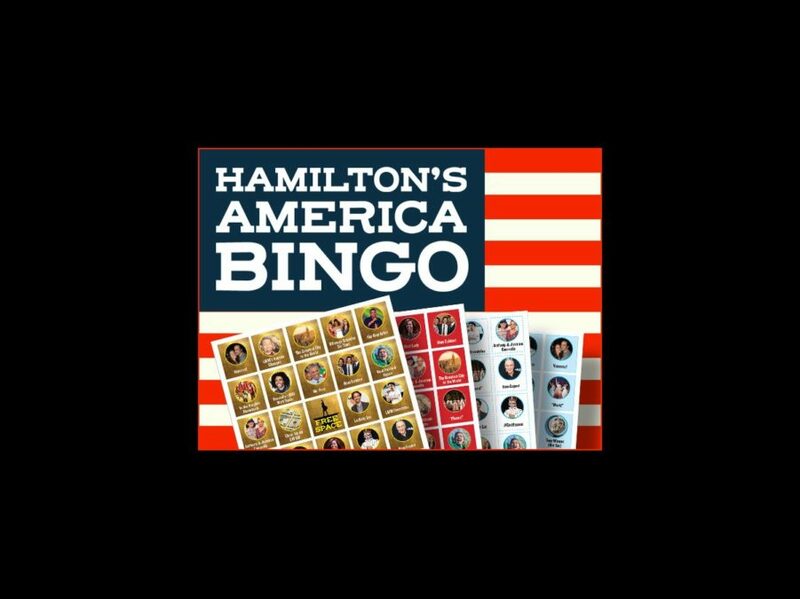 Broadway.com’s got the perfect addition to your viewing party: Hamilton’s America Bingo! Follow our Ten Bingo Commandments for maximum game-time enjoyment! Number One: The challenge: Demand satisfaction. Popcorn popped, onesie on, then no need for further action. Number Two: Grab some friends to play with, they’re your seconds. Make sure everyone’s got a board (and some refreshments)! Number Three: Have your seconds all meet face to face. Negotiate a time and suggest your place. Number Four: Print out the cards and have some coins on hand. Five spaces in a row is where they've gotta land! Number Five: Meet before the sun is in the sky. The doc airs at 9:00PM sharp, that's why. Number Six: Take note with your next of kin: spying the exact picture on the board is not the only way to win. Number Seven: Instead, pay close attention to the copy. Those of age can even play a drinking game—don't get sloppy! Number Eight: Use #Ham4Bingo to let your friends know the game is great! Number Nine: Look up at the screen, aim no higher. Summon all the snacks you require. Then count one, two, three, four, five spaces—BINGO! CLICK TO PRINT THE BINGO CARDS AND SCROLL DOWN TO SEE ALL FOUR!